Join our 3rd annual Dia De Los Muertos party. There will be face painting, crafts, altar contest and more! Everyone is welcome to bring an altar to display. 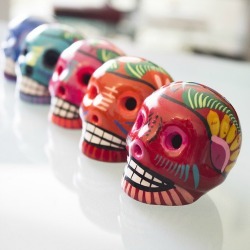 For the history of Dia De Los Muertos click here. Treats and drinks will be available for sale. Free and open to the public!